Reworked plans for the next phase of development at Liverpool Shopping Park have been recommended for approval. An anchor Marks & Spencer (M&S) store spread over two floors is part of proposals which will go before Liverpool City Council’s planning committee next week. 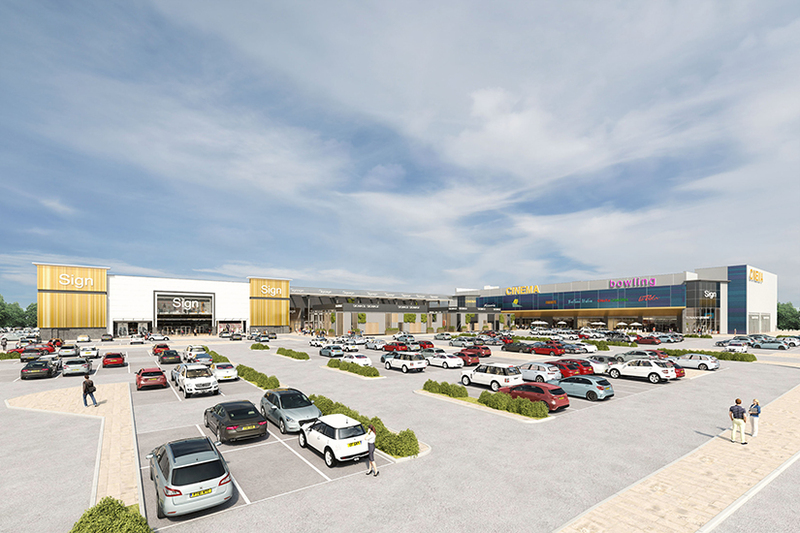 The circa 60,000 sq ft M&S is envisaged for the eastern part of the former Edge Lane Retail Park alongside a new six-screen cinema, gym and bowling alley. New shops, restaurants and a drive-through Costa Coffee are also part of the latest plans. CGI displaying next phase of Liverpool Shopping Park, released in October 2018. A document included with The Derwent Group’s planning application for ‘Phases 2.2 and 3’ of Liverpool Shopping Park reads: “We are pleased to confirm that the intended occupier for the general merchandise store is Marks & Spencer. The Derwent Group, owners of Liverpool Shopping Park, said last October it expects the scheme’s latest phase will create up to 885 new jobs, with construction starting this summer. Liverpool City Council’s planning committee will meet next Tuesday (19 February) to rule on the proposals, which have been recommended for approval subject to the Secretary of State not wishing to call in the application.